Design group is an organization consisting of young multi disciplinary team of professionals engaged in architectural and interior designing. At the helm of our organization there are highly qualified architects and project managers possessing vast and vivid experience in the field of consultancy. 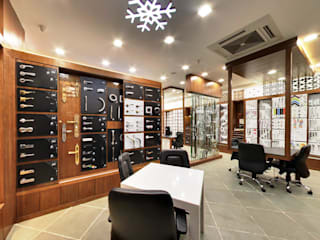 The organization is backed up by Architects, engineers, interior designers and draftsmen along with a dedicated supporting staff having qualifications in their respective fields. Ar. Vinay Rathi: B.Arch, Passed out from KITS, Ramtek with a gold medal in the year 2000. 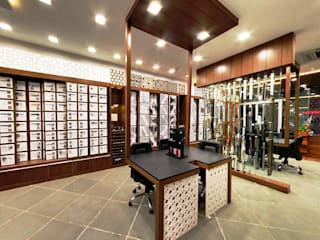 We attribute the success of our practice to the values that we believe in and not just to our architectural style. 1. The highest standards of professional integrity. 3. Appropriate cost effective design solutions. 4. Zero error quality assurance. 5. Addressing to challenging deadlines. Since its beginning in 2000, we have constantly strived to increase the quality of our clients’ life through a better architecture with engineering techniques that are best suited to the local environment providing exceptional quality in designing and service. What sets us apart is the clean, modern, signature designs transcending mere aesthetics to create experiences that capture the minds and hearts of the increasingly demanding multi channeled consumers. We track the trends in consumer behavior, lifestyles, color and materials. As a result the effects are creative and innovative. The end result thus, is a built environment, true to the design intent, that is delivered on time, in budget and the BEST in class!